Berthed at Turia Sur quay, Valencia Port on 18/04/2006. 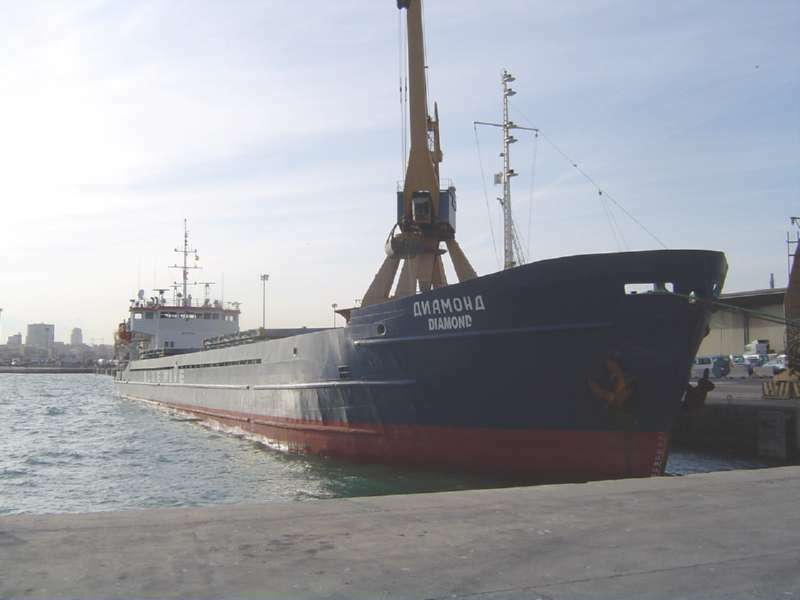 Name of ship : DIAMOND, 2003/06. Former names : Peleduy, 1986/01. Sky Light, 2001/10. This photo has been shown 650 times since it was added to the site.